In case you missed it, the Ohio senator made a powerful speech this week against forced arbitration. 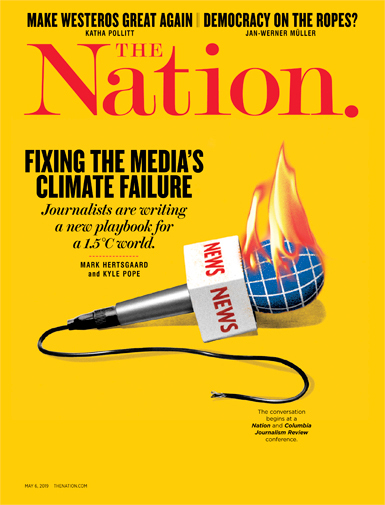 Our media pay too much attention to the empty promises, cruel threats, and fact-free ruminations of faux populists like Donald Trump, and too little attention to the genuine economic populists who challenge the president and his allies with the logic, insight, and passion that the times require. Case in point: As another ugly week in Washington concludes, everyone is aware that Trump is giving himself high marks for responding to the crisis in Puerto Rico, that the commander in chief does not get along very well with Senate Foreign Relations Committee chairman Bob Corker, and that the notoriously thin-skinned president and his supporters are still trying to gin up complaints about Hillary Clinton and her 2016 campaign. But not everyone is aware that the one truly important, and truly meaningful, statement delivered in Washington over the course of the past week did not come from Trump or one of his supporters. It did not come from Jeff Flake, the Arizona Republican whose emotional denunciation of the president simply confirmed that the Republicans who wield power in the Congress are never going to break with their party’s president. 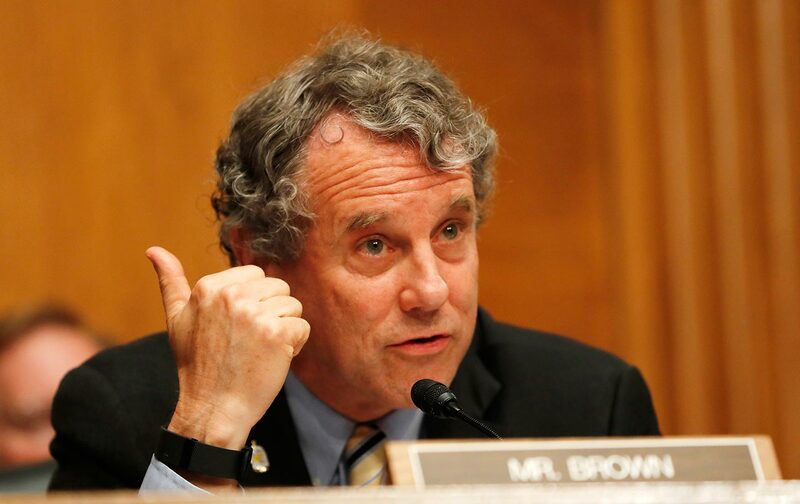 The speech that mattered was delivered by Ohio Senator Sherrod Brown, and it came during a debate preceding Tuesday’s Senate vote to repeal the Consumer Financial Protection Bureau’s forced-arbitration rule. In an especially noxious sell-out to banking interests, 50 Republican senators voted to prevent the CFPB from banning most of the “mandatory arbitration clauses” that are slipped into the fine print of agreements that consumers are encouraged to accept when the get a credit card or open a bank account. Those clauses make it difficult for customers who have been mistreated—or ripped off—to organize themselves into a group and sue an offending bank or credit-card company. The proposed legislation was so indefensible that two Republican senators—Lindsey Graham of South Carolina and John Kennedy of Louisiana—joined Democrats in opposing it. Only a tie-breaking vote from Vice President Mike Pence carried the day for the Trump administration and the banking interests. Brown’s address to the chamber echoed the honest populist passion of senators who once saw it as their duty to protect working people on Main Street from the the plundering plutocrats of Wall Street: Robert M. La Follette, George Norris, Edward Kennedy, Howard Metzenbaum—and too few others. Brown thundered with righteous indignation at the injustice that was proposed. Now we know Wells Fargo opened as many as 3.5 million of those fake accounts by subjecting their employees to harsh sales goals and threatening to fire anyone who didn’t keep up. But because Wells Fargo had the power of a forced arbitration clause, they were able to sweep the 2013 lawsuit under the rug, allowing the scandal to continue for years. Think about how much damage could have been prevented if that customer was allowed to take Wells Fargo to open court four years ago. Even when the scandal was finally brought to light, customers found out that forced arbitration was such a powerful tool for banks that Wells Fargo was able to use them against customers who had accounts opened without their consent. The Economic Policy Institute studied people who went into arbitration with Wells Fargo, and found that, on average, they ended having to pay the bank almost $11,000. You heard that right—the customers ended up paying the bank. The same bank that cheated customers into opening fake accounts. So not only does forced arbitration take away your right to hold Wells Fargo accountable when they’ve harmed you—you might end up having to pay Wells Fargo for the privilege of getting scammed. As he invariably does, Brown arrived on the Senate floor not just with statistics but with stories that put a human face on the numbers. Forced arbitration hurts the 3.5 million people who had bank accounts fraudulently opened by Wells Fargo. Forced arbitration hurts the 145 million Americans who had their personal data put at risk by Equifax. It hurts employees who have been hurt by their employers, it hurts students who have been cheated by for-profit colleges, it hurts our family members in nursing homes. Forced arbitration hurts the millions of Americans with student loan debt and credit cards. So who does forced arbitration help? Wall Street banks and other huge corporations that never pay the price for cheating working people. I urge my friends to ask yourself, whose side are you on? The people we serve who get hurt by forced arbitration, or Wall Street CEOs who cash in? Choose to side with the people we serve and vote against repeal of the Consumer Bureau’s rule and give some power back to regular Americans. Fifty senators chose to side with the Wall Street CEOs, and a shameless vice president gave them the last vote they needed to reject the public interest. But if the arc of the moral universe does indeed bend toward justice, there will come a day when Sherrod Brown will stand before the Senate, as the Banking Committee chair, or perhaps as the vice president or president, and lead the chamber back to the side of the people senators are supposed to serve.